The Mole" has come out of hiding. ABC has given a 10-episode order to Stone & Co. Entertainment ("Tim Gunn's Guide to Style" to revive the reality competish, which hasn't aired in four years. Casting and pre-production have begun on the show, which will likely start shooting later this spring. ABC is looking to run "The Mole" this summer. Oh I LOVED the MOLE! Is it too late to apply? haha, peach for the mole! Yeah, I'd definitely want to be the sneaky MOLE! This is the only show besides TAR that I ever truly thought I'd love to do! I'm so glad they are bringing it back--something to look forward to! I've never watched it but my friend told me it was really good. I would go on any of these three -- big brother, survivor, amazing race. anyways, i'll have to check the mole out. Wow! That's the best news I"ve heard in awhile!! I loved that show and even tho I'll miss Anderson Cooper as Host, I'm sure they'll find another host just as good. Really cool show! Thanks for telling us, Kogs! This is the bestest news I have heard in 4 years. I want this writers strike to go on for a while!!!!!!!!! 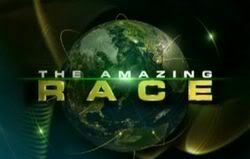 I LOVED this show, i remember watching the mole and TAR at the same time thinking I would love to be on these shows. I was so excited, I had to make a new board for it already! LMAO I am like a schoolgirl with so much excitement. I love, love, love, the Mole... it's one of the only celebrity show that I like I hope it's a celebrity one... (the other is celebrity fit club)... otherwise celebrity shows not my fav. But I love it either way! Are you kidding me? The Mole is back? Why not bring back Temptation Island while we're at it. Of course they brought this back. It's a good time for reality fans, considering the writers strike. I ended up picking up two seasons of this from Netflix, so I'm ready for the new series. The celebrity ones sucked but the first two were wonderful----for smart and savvy intelligent people like all of us! I like the original host. I LOVE the writers!! I'll miss my Grey's Anatomy, but as long as they keep filling with some good stuff, I'm happy clammy! Anderson is working for CNN, and Rashad hasn't returned their calls. I want a new host anyway. I love Anderson, but he won't come back, and hated Rashad. NEW HOST!! my bet its someone under contract with the disney corp. my guess is jimmy kimmel,some1 from extreme makeover home edition or some1 at espn. Stuart Scott or Mike Greenberg of ESPN are possibilities. I'd be more than happy to host. Rob, maybe they can get Kathy Griffen to host? Wouldn't that be cool? Love it too blsnbelles and your enthusiasm!! too bad no Anderson but good no more celebrities!